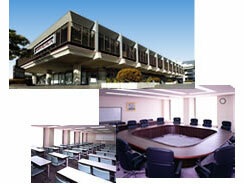 Kobe Commerce, Industry and Trade Center Building provides rental meeting rooms on the top 26th floor. These are the comfortable space where waterfront below and town of Kobe can be seen from the place of 100m high. Eight rooms with various sizes of which capacity is from 14 to 85 for the largest meeting room are available. Kobe Sanbo Hall, a multi-purpose hall is adjacent to this building. 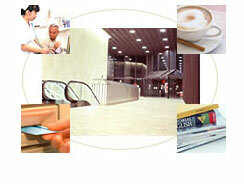 It is familiar to people as a hall for exhibition, trade fair and various events. Kobe Commerce, Industry and Trade Center Building has coffee shops, restaurants, shops, medical clinic, ATM and post office as well as offices. You can enjoy lunchtime and teatime, transfer the credit and utilize the postal service required for business in this building. This is highly convenient office building.